Jessica Cross’ obsession is working with data to enable personalization at scale. Whether that is through email, dynamic ad units, or direct mail, she sees that whenever she can personalize, there are better click through or conversion rates. She leverages Artificial Intelligence to help her reach this goal of personalization at scale. Jessica works in Account Based Marketing for RollWorks, a division of AdRoll. She has been in the high tech B2B world for nine years. She worked with two different predictive scoring companies before her time at AdRoll. She’s been in her new role for over two years now where she gets to market to marketers. She thinks it’s a great place to be! We sat down with Jessica for this episode of The Intelligent Marketer to hear all about her job at RollWorks, Artificial Intelligence, and her career influences. AdRoll started building their B2B business out around 1-2 years ago. This B2B unit started growing at such a pace that it needed to be split off into a new division called RollWorks. Right now, there is a 70/30 split, with 30% of AdRoll’s employees serving as B2B marketers for RollWorks. They are helping B2B marketers reach the right people, engage with extreme relevance, and drive business growth. Jessica feels like she’s working at a mini startup within 10 year old company. She is focused on Account Based Marketing, which in her mind is simply just doing good B2B marketing. She works through various digital marketing channels and direct mail. She works closely with the sales team as they work prospects through the sales cycle. Jessica monitors the influence of pipeline velocity and other KPIs. Her team has determined that the conversion rate of inbound leads is close to 7%, while cold call deals are around 3%. It’s clear to see that when marketing influences a sales deal, they see a higher conversion rate. She works to increase outbound conversion rates through marketing events, accelerating pipeline, and leveraging artificial intelligence! 1) AI that is exposed to end users through dashboards and predictive scores. This usually involves a smooth user interface that helps users digest a lot of information quickly. 2) AI that is baked into background of a product. AdRoll has a very large AI system running in the background that serves the right person with the right ad at the right time. Billions of calculations are being done through AdRoll in the background seamlessly providing end users with a personalized and relevant experience. Everyone wants a tailored online shopping experience, and this tech is providing just that. Jessica started with a company called FlipTop around 2014. 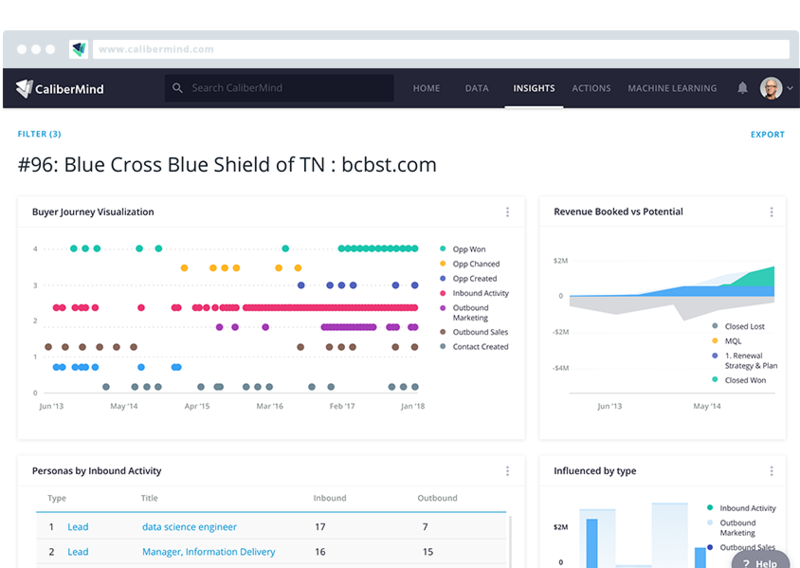 This company’s application of AI fell into the first bucket above: scoring and ranking all leads in a databank in nice, visually digestible presentation. Now at AdRoll, she’s seeing predictions around which content will work well for different segments based on past search history. This AI helps by pairing up the right offer with right person. In order for this technology to meet its potential, Jessica believes there needs to be more use cases and application for how to action the insights. This would help bring marketers who are new to the technology over the hurdle of understanding how to use it. Jessica fully believes that Marketo helped the trajectory of her career immensely. The Marketo community gave her access to shared knowledge in a way she had never experienced before. They shared best practices, tips & tricks, and were available for any questions she had. Jessica also admires what LinkedIn has done; they’ve taken their mission statement and translated it into different campaigns. For example, their sophisticated marketer campaign profiled influencers and showcased the human face behind people using various types of tech. Jessica has realized that ultimately, it’s not about technology, it’s about results and the people behind those results. She is always challenging herself to stay open to new tech, new styles, and new ways of doing things. Test, try, and evaluate… it’s the only way to learn about new cutting edge things. She has to say yes to a demo call every now and then. She doesn’t want to be the one that is still doing marketing via a fax machine in 2018! This post is based on a The Intelligent Market podcast with Jessica Cross. To hear this episode, and many more like it, you can subscribe to the Intelligent Marketer Podcast here. If you don’t use iTunes, you can listen to the podcast here.